Welcome to the Thorntree Internal Drainage Board website. We are a public sector organisation responsible for flood protection and land drainage to the south of the River Don between Rawcliffe Bridge and Moorends. For general enquiries please contact our office on 01405 762557. Alternatively our email and postal address can be found in the contacts section of this website. 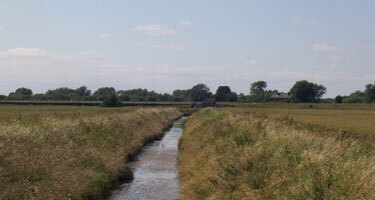 The Thorntree Internal Drainage Board is responsible to the Department of Environment, Food and Rural Affairs (DEFRA). We work in partnership with the East Riding of Yorkshire Council, the Environment Agency and other local partners to reduce the risk of flooding to agricultural, residential and industrial land within the Boards area. We carry out an annual program of maintenance work to ensure water levels are kept at an appropriate and safe level. .Website Developed by elk solutions. *Please note, these contact details are for use in emergencies only.